Please go vote for the artwork in the Fan-Art section! You earn clan points by posting topics, making meaningful replies and many other ways. Spend your well earned CP in the shop here. PM Hazelstar for purchases. Have any new ideas for LWC? Something you'd like to be seen in the tab bar or an idea for the next official roleplay? Make a topic about it here! Here are announcements normally made by Admin's and Mod's. But if you have anything to say, feel free! They should be on LWC topic, please! Are you new here or plan to take an extended leave? This is the place to tell us. Say who you are, and give a friendly introduction and feel free to tell us a little about yourself. Create your Warrior cat here! Tell us what you look like and a little about your personality. Don't forget to tell us where you came from and your history with the clans. This is important when it comes to roleplaying. Having troubles? The administrator or Moderators will answer your questions here! Don't be shy, we won't bite! If you don't want to create a topic, PM Hazelstar as well. Join Your Clan or Find your Soul-Mate! If you'd like to formally ask to join a clan, this is the spot to do it. Along with trying to find a mate. This forum is for admin created Official RPG topics. These Official RPGs are announced monthly and are for every member to enjoy. If you join an Official RPG you made earn a badge or CP prize afterwards, so make sure you join! 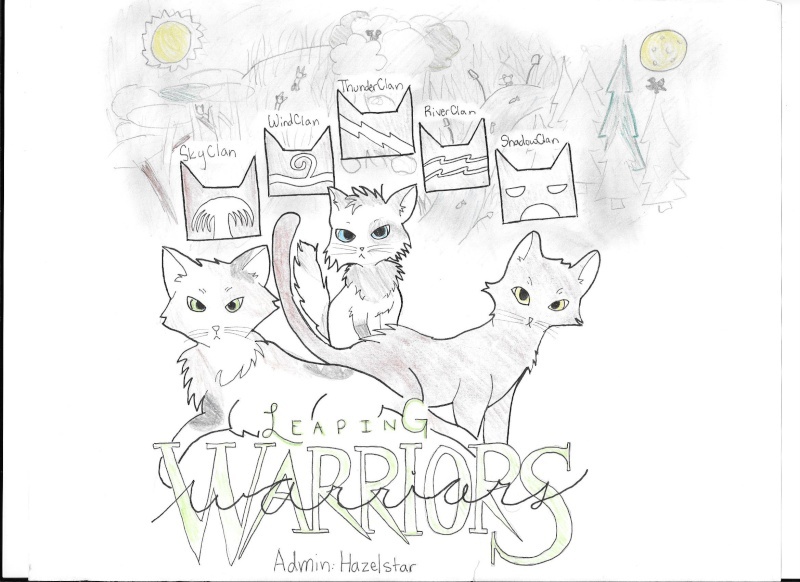 This forum is for member created, warrior cat related RPGs! This can be anything from made-up clans, exclusive clan only roleplaying or a fight between the current clans. It's for anything and everything warrior cat related you can think of! Roleplaying here with members in your clan. This is clan related, so if ThunderClan is having their roleplay, a SkyClan member can't join, etc. Roleplay here topics that aren't warriors related or don't fit in the other two forums. It can be anything you like, from a High School roleplay to camping etc. Discuss what's going on around you, and share videos! We love to listen to your stories and what's going around the world.